The Boomer and Carton show was held at Connolly’s in NYC yesterday. In addition to Esiason and Carton - the girls of Rick's Cabaret (the official gentlemen's club of Bob's Blitz) where there to announce WFAN's Bracket Of Babes 2011. But don't worry - everything was fine and we got her back up.....rocking the Bob's Blitz T-Shirt. "Craig was a cutie, and Boomer was handsome, in the classic way," Sky told us. "I listen to WFAN Sports Radio - I have to because there are always athletes here at Rick's Cabaret and I want to know what's up." 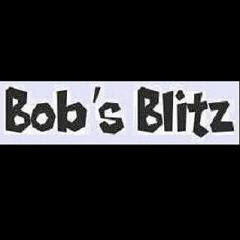 Before leaving us, Sky added, "And my fav website is Bob's Blitz - thanks for the tee-shirt, I am going to wear it to bed tonight," she said.